Physical & online inventory consolidation is very critical when any retailer uses ecommerce as another channel for driving revenue. I am glad that GOFRUGAL retail software has addressed this challenge. Our staffs are handling it with ease. ServJoy helps us serve our guests with ease & transmission of orders to the kitchen has become faster. ServJoy has reduced order delivery time and increased turn around of tables. We have more accountability, faster service, paperless KOT and no more misunderstanding on order details. We had a smooth transition from VAT to GST thanks to GOFRUGAL. The help videos & webinars posted online were a great source of learning for our team. Continue the good work and lets grow together. Wishing one and all a happy GST regime. I've been using GOFRUGAL for the past 5 years. My brother was using this software for his store & I was very much impressed by how billing and order taking was done with ease & speed in distribution software. I'm starting to use EarnSmart app for order taking remotely and it is very much convenient. We wanted a comprehensive SaaS based retail solution that would have the ability to work both online and offline to cater to our specific needs. 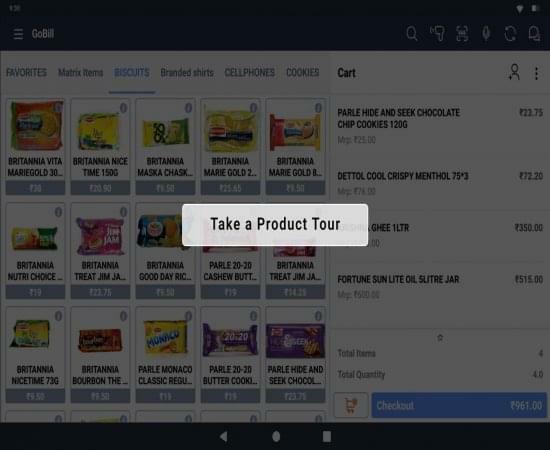 GOFRUGAL provided quick and also playing an active part in our technology vision towards moving this application to smart phones and to our entire supply chain ecosystem. we are processing your request !